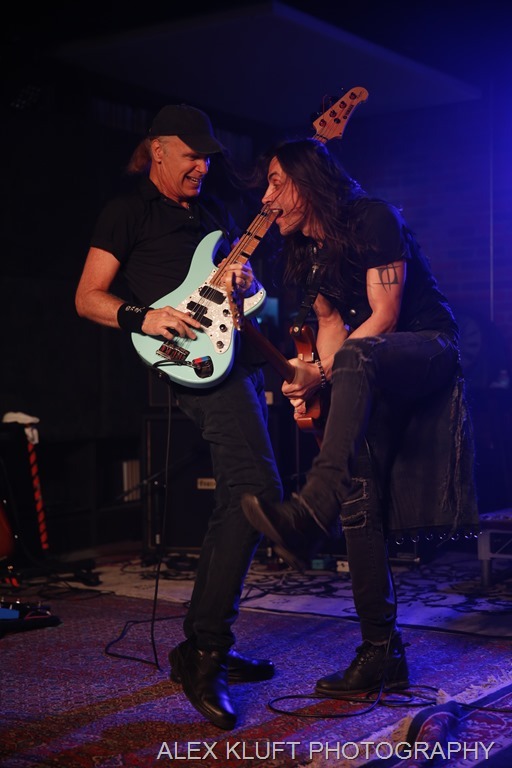 And speaking of Punk… “Atomic Punk” announced the arrival of Ralph Saenz (Or Michael Starr from STEEL PANTHER) accompanied by the return of Billy Sheehan (WINERY DOGS) on bass, Stephen Chesney on guitar and Matt Starr behind the skins. They then kicked into high speed version of David Lee Roth’s “Shy Boy” which brought the crowd to a swell! The always amazing Mitch Perry (LITA FORD) and Roy Z trading blistering solo’s during “Whole Lotta Love”, sung by the lovely Cherokee Fortune. 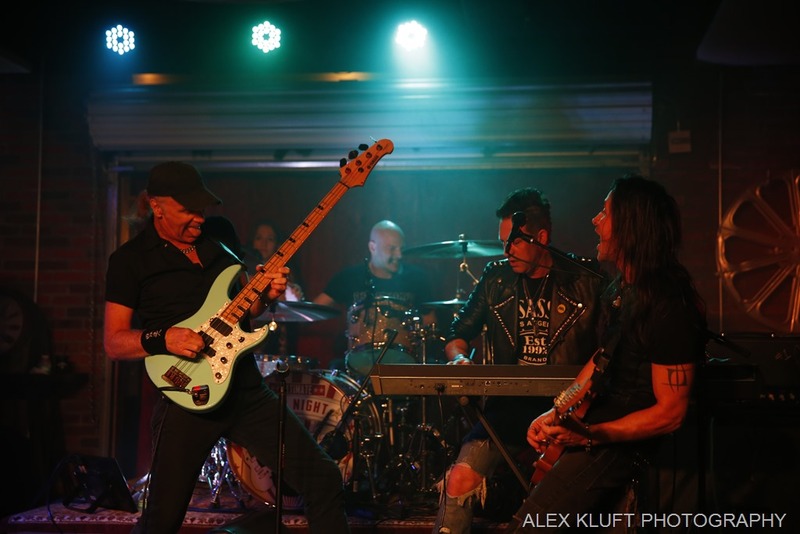 Madam Mayhem, Billy Sheehan, Mitch Perry, Matt Starr and the intricate keyboard work of Steve Ferlazzo (AVRIL LAVIGNE) gave the crowd a high energy version of “Won’t Get Fooled Again”. Dug Pinnick (KINGS X) returned to the Lucky Strike stage and kicked off his set with ”Manic Depression” aided by Stacey “Spacey” T (FISHBONE) on guitar. Besides just the presence of Dug on bass, the highlight of that set was an amazing version of “Voodoo Child” with accompaniment on guitar by guitar prodigy Tommy Baldwin. His solo was incredible to say the least. The talent that revolves through the Lucky Strike Stage is impeccable and thanks to the hard work of Chuck and the rest of the staff, The Jam is no longer a best kept secret, it’s an event. 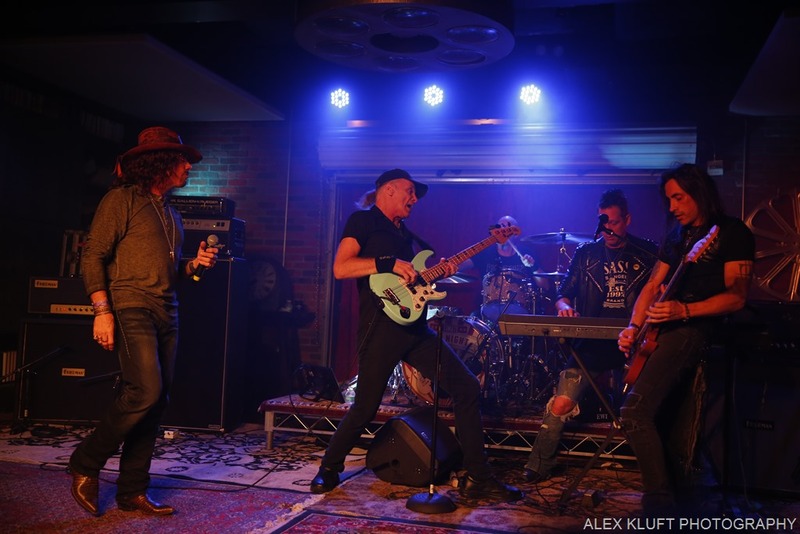 Close to 50 performers took the stage for LUCKY STRIKE JAM NIGHT 24……. And the show completely rocked. The evening started off with an excellent acoustic performance from Gabbie Rae with Julia Lage on bass and Sam “Bam” Koltun on guitar. Set one saw great tunes with “the house band” (Matt Starr, Chuck Wright and Mitch Perry often featuring Steve Ferlazzo),and including “Hocus Pocus”, followed by Tim Yeung rocking the drums on “Barracuda with Holley Wolfe on vocals. “The Ocean” with Dusty Bo, Sean McNabb and “Whole Lotta Rosie” with The Okai Sisters and Glen Sobel rocked as well;. The crowd was treated to the blues with the drumming of Brendan Buckley, soulful singer Joe Retta, and 8 string guitarist Tracey “Spacey T”. Kenny Kanowski also rocked a few songs in the first set, including The Who’s “Real Me” with the Dirty Rotten Horns. The second set opened with Tonya Kay and a NIN song. It was very interesting. 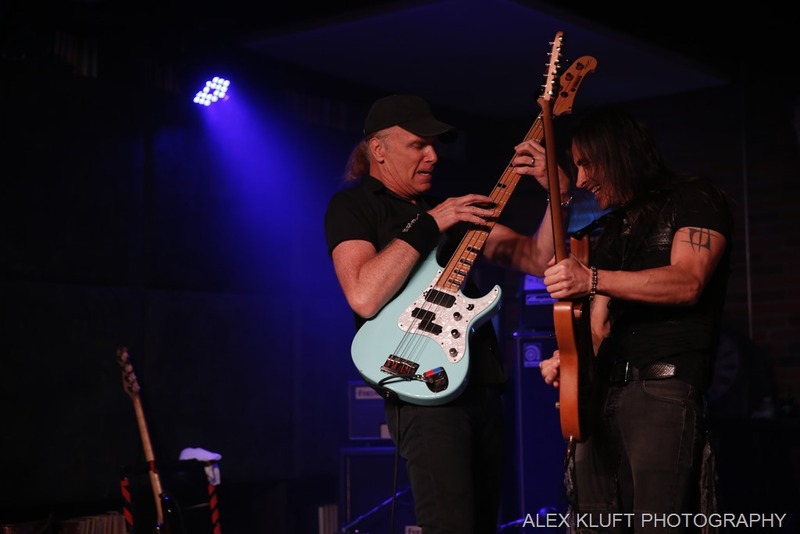 The highlights of the show were seeing Billy Sheehan and Nuno Bettencourt perform together for the first time in the second set, along with a jam featuring Nuno, Phil and Glen Sobel. Billy has been making somewhat regular appearances at Jam Night and played most of the second set the second set. Nuno was back at jam night for a second time after jamming with Jonathan Moffett, Marty O’Brien and others at the jam a few weeks back. Phil X made a return trip (he’s appeared several times) and rocked with Billy and The Drills — Daniel Spree and Randy Cooke. Nuno performed BURN, BALLROOM BLITZ (with Joe Retta) and HOT FOR TEACHER. MADAME MAYHEM performed GRINDER and WE ROCK with Billy Sheehan and Courtney Cox. PHIL X killed on Funk #49, FIRE and the song with Nuno and Glen Sobel doing Radiohead’s “Creep” was one for the ages. One of the most impressive tunes of the evening was Duran Duran’s “RIO” with Jacob Bunton, Ace, Johnny, Matt and Steve Ferlazzo.